Just a taste of life on Kodiak or pretty much anywhere in Southeast Alaska leaves most people wanting more. So much more. With busy fishing fleets, thriving art and food scenes, vibrant Native communities and quirky little museums, it's hard not to fall deeply, madly in love with these island and coastal towns. You can drive to a few towns in Southeast, but those road trips require many, many miles. For a first visit, your best bet is to travel by boat or plane. Or do a combo trip and show up with your car, courtesy of a ride on the Alaska State Ferry. Just one word of advice — don't forget your raincoat. Famous for its sizable namesake brown bears, Kodiak should be just as well known to outsiders for its ever-so-green landscape — its nickname is the Emerald Isle. Kodiak Island is, to put it mildly, a beauty. Though the City of Kodiak provides the full-on small-town experience, Kodiak Island itself has plenty of space, so residents and visitors alike can get as much solo time as they need. 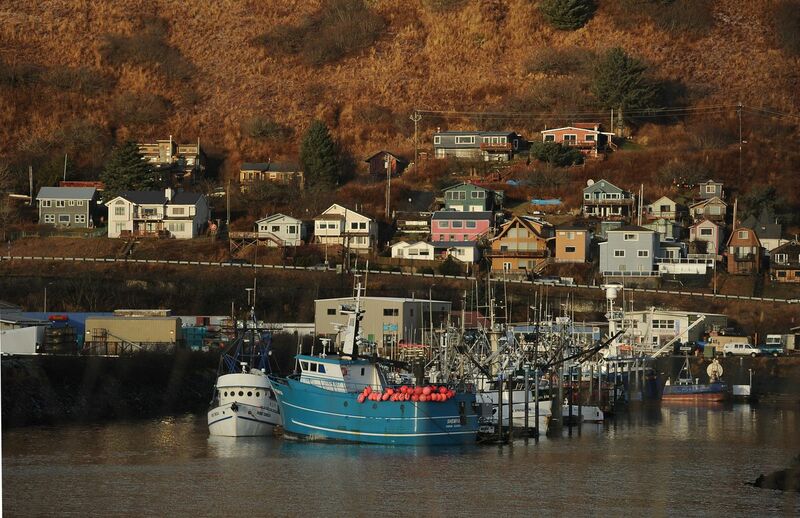 Between Kodiak City and the villages, there are around 15,000 year-round residents on the island. Hike the local trails. Launch a kayak or stand-up paddleboard in Anton Larsen Bay. Keep watch for whales or, often just as thrilling, puffins speeding by. Dig into Kodiak's history at the Alutiiq Museum or the Baranov Museum. Get ideas for the next day's adventures over a brew at Kodiak Island Brewery. Arrive by ferry or plane. It could be the mist or fog that often hugs Sitka. Or perhaps it's the insane sunsets that take over the entire sky. Maybe it's just the really good coffee at the local bookstore. Whichever "it" of Sitka grabs you, the place sticks with visitors forever. Ignore the rain and keep on paddling during a guided kayak trip around the islands off Sitka. Walk the pathways and take time at each totem pole at Sitka National Historic Park. The park, where Russians invaded and fought the Kiks.adi Tlingit people, offers an immersion course in the Russian occupation of the town. Open the drawers in the exhibition space of the Sheldon Jackson Museum — first opened in 1887 — to see antique children's toys, jewelry and more beautiful artifacts. It's quite the intimate and peaceful museum experience. Classical music fans would do well to time their visit to the annual Sitka Summer Music Festival, when some of the world's best chamber music groups perform. Ketchikan tends to be all hustle and bustle in the summer when cruise ships are in, but there's more to the town than just that. Ketchikan has one of Southeast Alaska's most colorful art scenes. From the docks to the school buildings, the island community celebrates local artists at every turn. Turn a walk around town into a public art treasure hunt. Or, for art that's equal parts craftsmanship and storytelling, visit the Totem Heritage Center — or just keep your eyes open for some of the many, many totem poles around town. Prefer learning about the, ahem, saucier side of olden times? Stop into Dolly's House Museum (24 Creek St.) to find out what the gals had to deal with back in the day. Not an easy job. Then, cleanse your brain with a flight trip out to Misty Fjords National Monument and the chance to kayak amongst whales. Arrive by ferry, cruise ship or plane. This is Klondike Gold Rush territory, flat out. Skagway has its modern bits — Glacial Smoothies & Espresso (Third Avenue, off Broadway), Skagway Brewing Co. (Seventh and Broadway) and gift shops that sell things that aren't made in Alaska — but at its core it's a town-sized Gold Rush museum. Home of the Klondike Gold Rush National Historical Park, Skagway is also the starting point for many hikers heading out on the 33-mile Chilkoot Trail. They're easy to recognize: They're the ones with (usually) enormous backpacks. Of course, there's plenty outdoors to explore here, with trails to hike and, after a helicopter ride out, glaciers to dog sled on. One of the only Southeast towns accessible by road (via the Klondike Highway Canada), visitors can also get to town by air, ferry or cruise ship.